There is a pond built under the train shed of St. Louis’s Union Station. 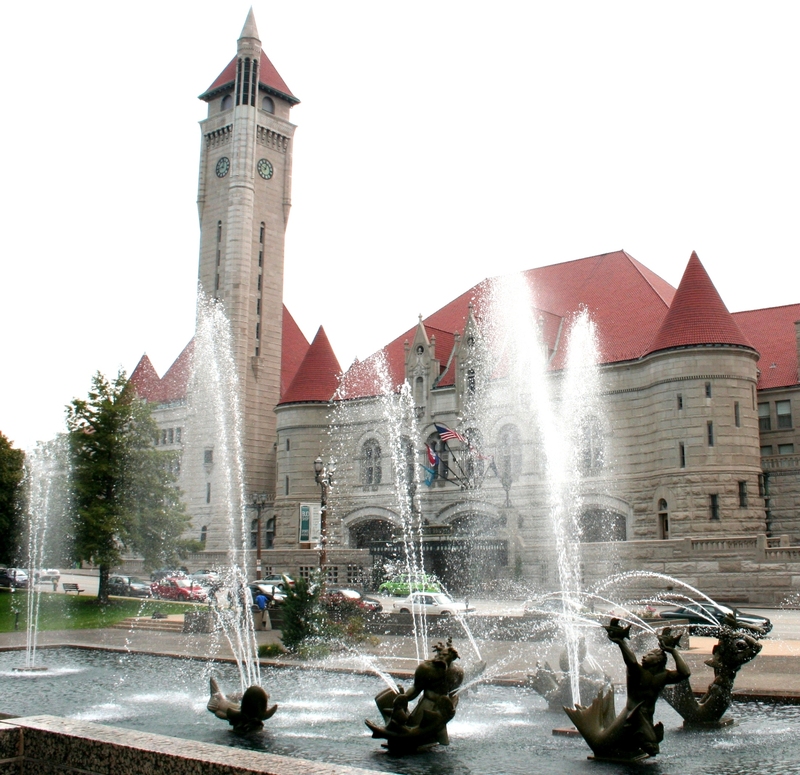 And this is not just any station– the grand old Union Station was once the busiest passenger rail terminal in the world. 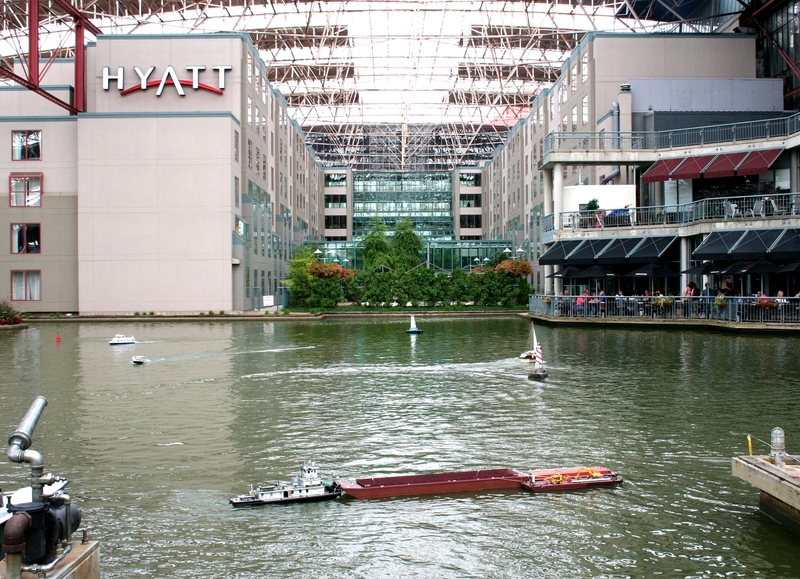 Now converted to a mall and hotel complex, the station and its pond have become home to the St. Louis Admirals’ Annual Regatta. For 20 years running, the Admirals have put on one of the most delightful regattas in the USA. With a low key do-it-yourself judging arrangement and no strictly scheduled events, the Admirals’ Regatta is a relaxing season-ender for the club and its visitors. Even with this year’s difficult times and high gas prices, some 90 entries were present, with some participants coming from as far as New York, Virginia, and California. And the weary travelers had plenty of opportunity to rest up, as there was an abundance of restaurants and taverns ringing the venue. Adding to the enjoyment, the early fall weather was a respite from St. Louis’s summer heat, and the slight mist on Saturday morning was no problem at all compared to the tail end of hurricane Ike, which swept through the area on the previous weekend. 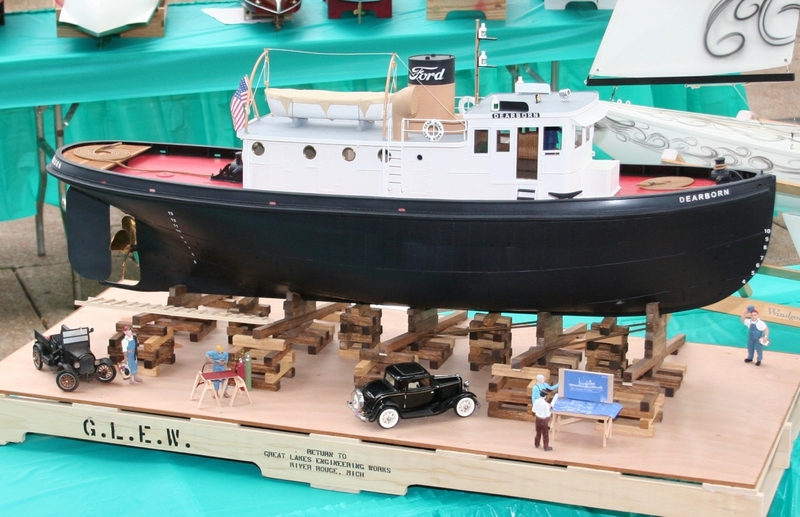 Model boats were displayed on a number of tables in an area that invited the numerous passers-by to stop for a bit and enjoy the show. Modelers were free to pick up their boats at any time to go for a run- subject to the organizers’ frequency control, of course- and at any time, numerous models could be seen plying Union Station’s waters. With the great Mississippi just a mile away, one should not be surprised by the number of stern wheelers and modern tow boats in evidence here. Indeed, they were numerous enough to merit their own category in judging. 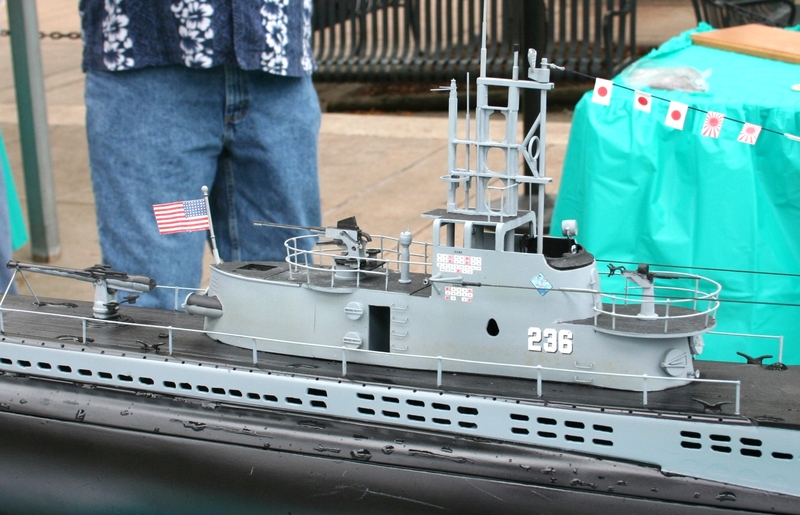 But clearly one of the local favorites is Phil Benoodt from neighboring Illinois, with his stunning 1:20 scale military patrol boats. For the last three years, Phil has turned up with a new example at each show– first a 110 foot USN sub chaser, then a German S-Boat, and for this year, a British Fairmile D. With all three models lined up together, it was an impressive multinational display! 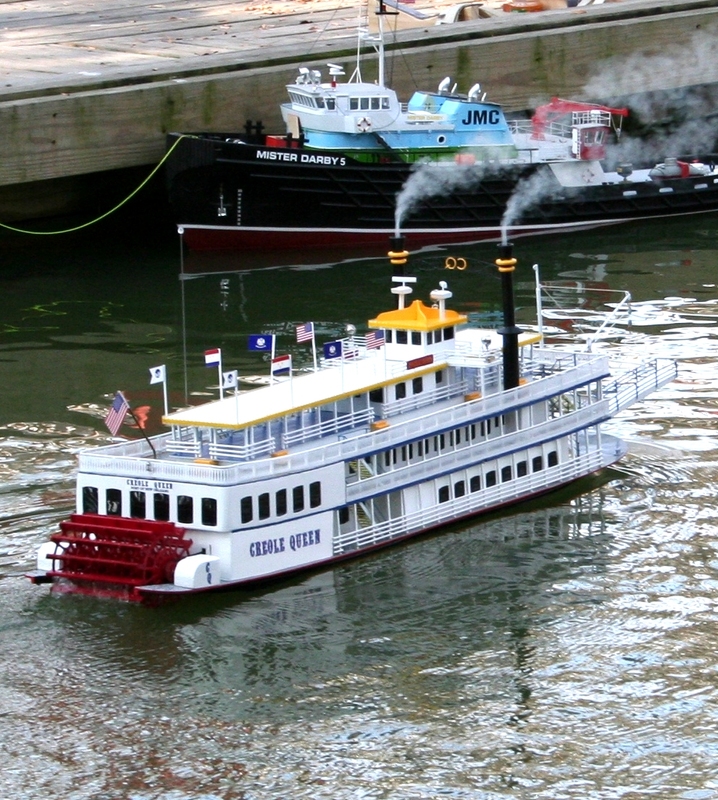 This year, Ships in Scale sponsored the Best in Show award, which went to Chuck Greco’s rendition of the Creole Queen. In addition to showing Chuck’s fine modeling, the model impressed with copious smoke from its twin stacks and a delightful sound track. The Admirals’ crew deserves kudos for their organization and helpfulness. The registration/info booth was always staffed and busy, and radio impound booth was the model of efficiency. Members mixed with the crowd and were easily identified by their club shirts and name tags. 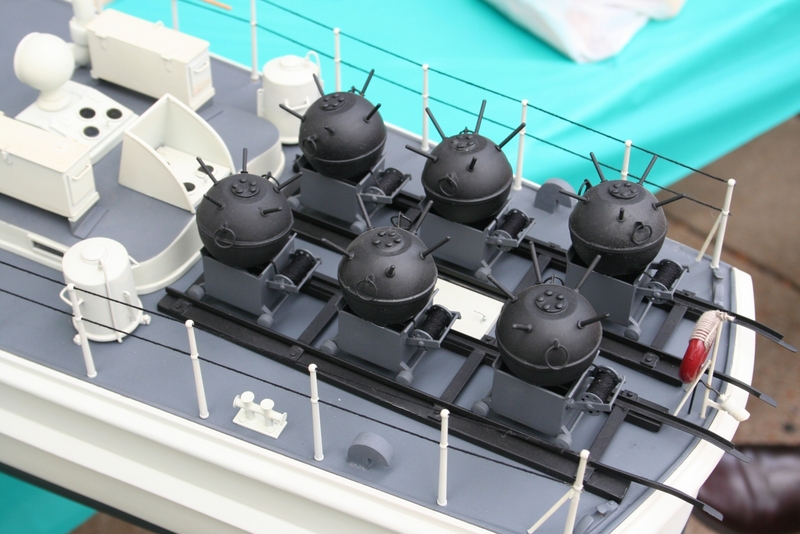 The method for model judging deserves further mention. 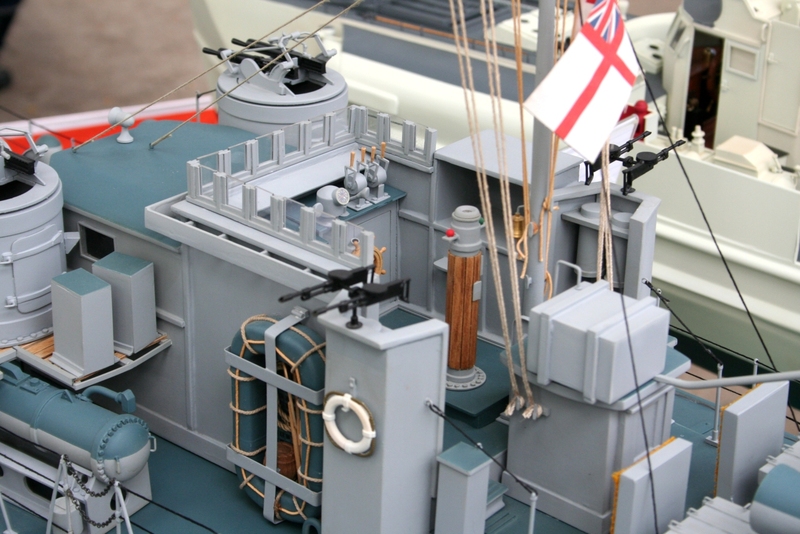 The Admirals defined no less than nine model categories, so an official cadre of judges would be tasked to distraction. Instead, the Admirals tap the participants themselves. Each modeler with an entry in a particular category receives a ballot for that category, on which he can rank the top three models. Of course he can choose his own model, but the system still seems to generate a fair ranking without over-stressing the organizers. So, congratulations to the Admirals for another successful event, and may there be many more! 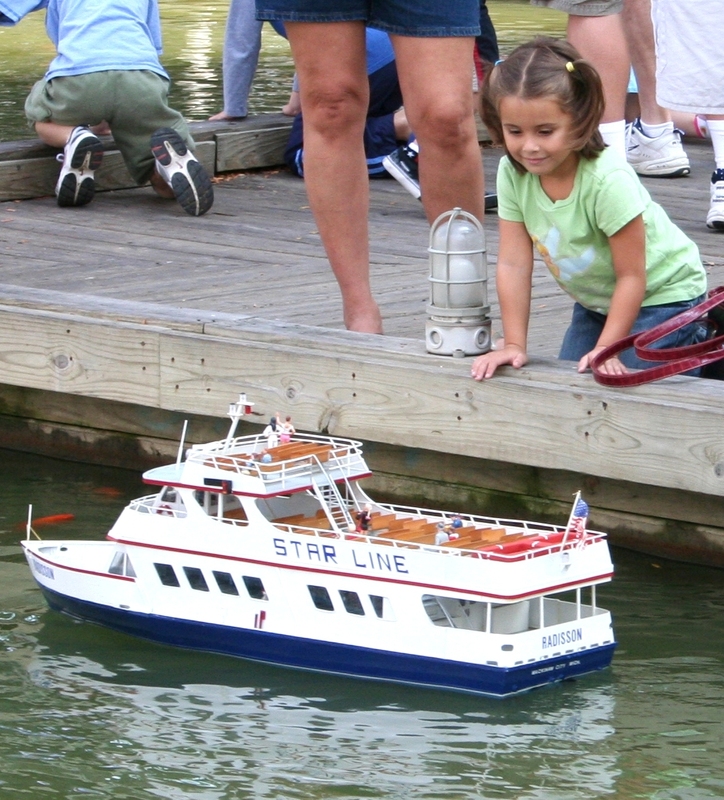 For more information on the St. Louis Admirals’ model boat club, including photographs of previous regattas, see their web site: www.stlouisadmirals.com . 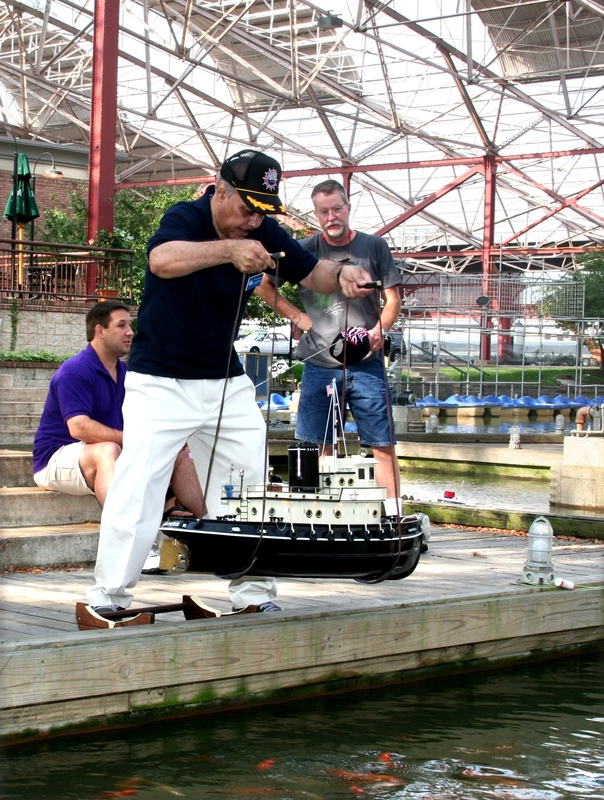 An Admiral demonstrates his launching technique with a big Hartman Fibreglass Harbor Tug. 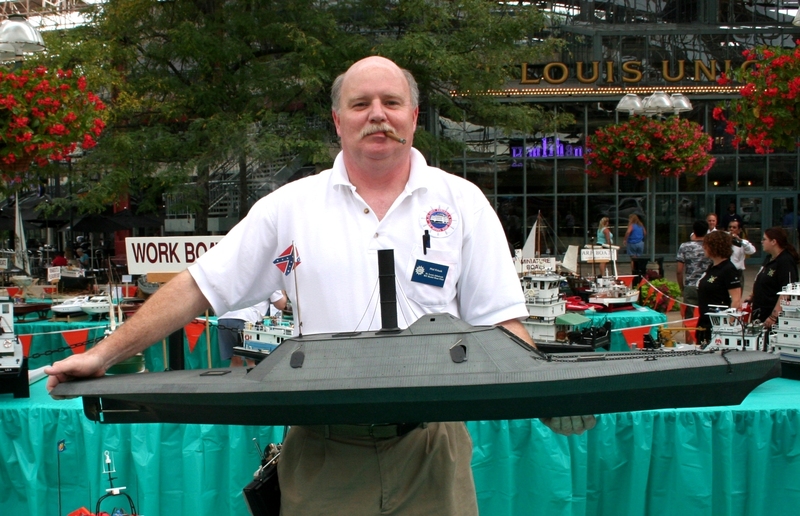 Phil Fritsch with his “CSS Albermarle” ironclad. 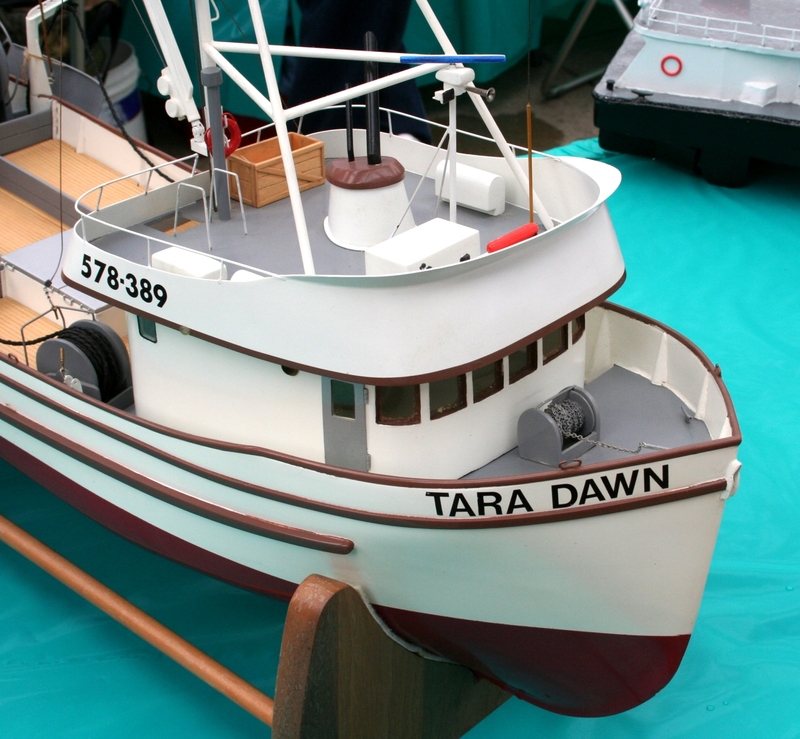 Bryant Thompson’s “Tara Dawn” was a featured model with plans in a 1996 Radio Control Boat Modeler. 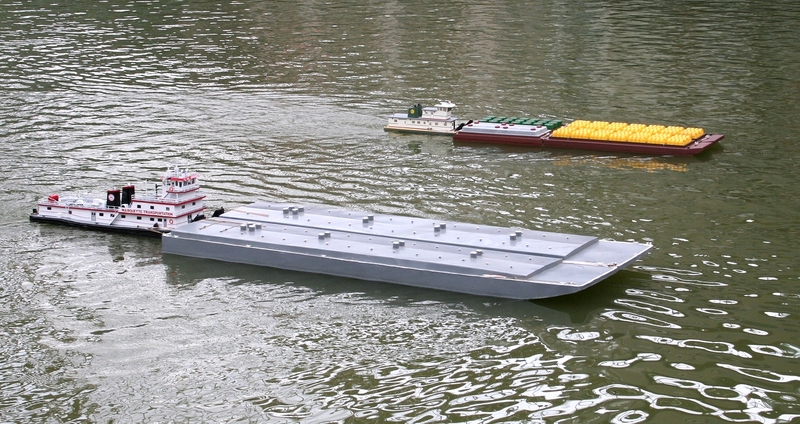 A pair of 1:48 scale “line haul” towboats illustrate the size of these powerful river craft. 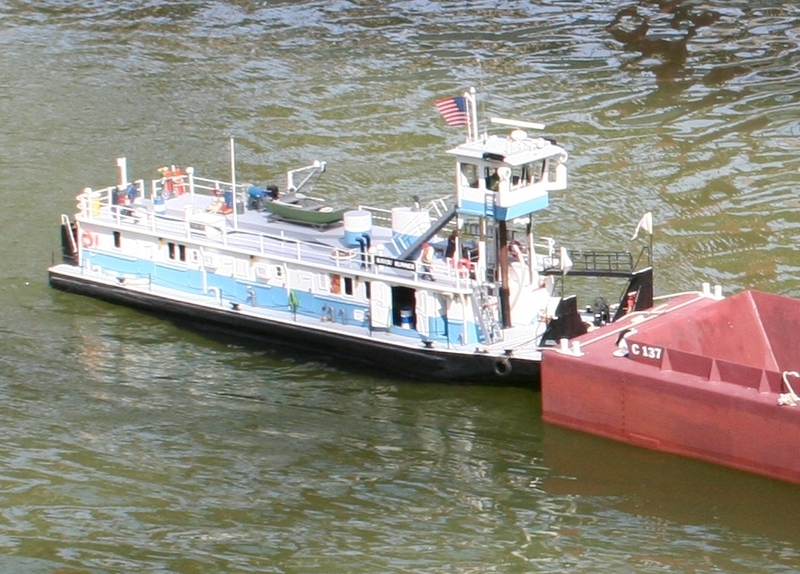 Towboats are equipped with flanking rudders to aid steerage in reverse. 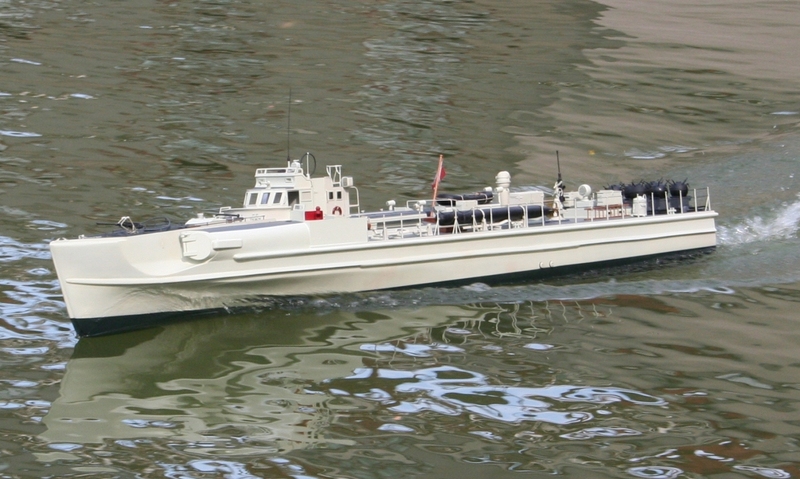 For the third year running, Phil Benoodt has brought in a new 1:20 scale patrol boat. 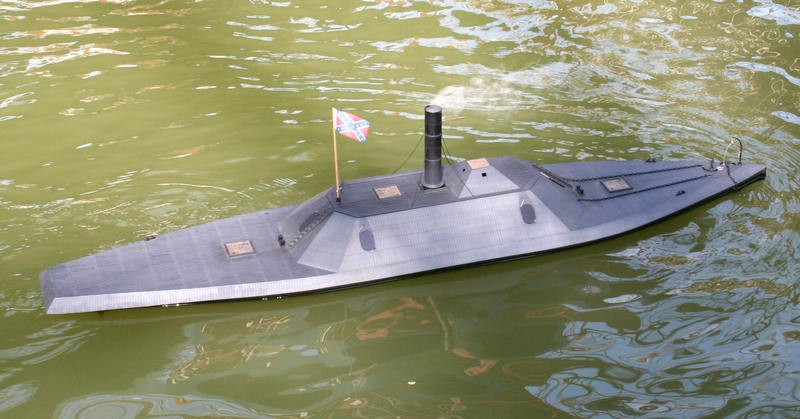 Here is his new Fairmile D; previous entries included a US subchaser and an S-Boot. 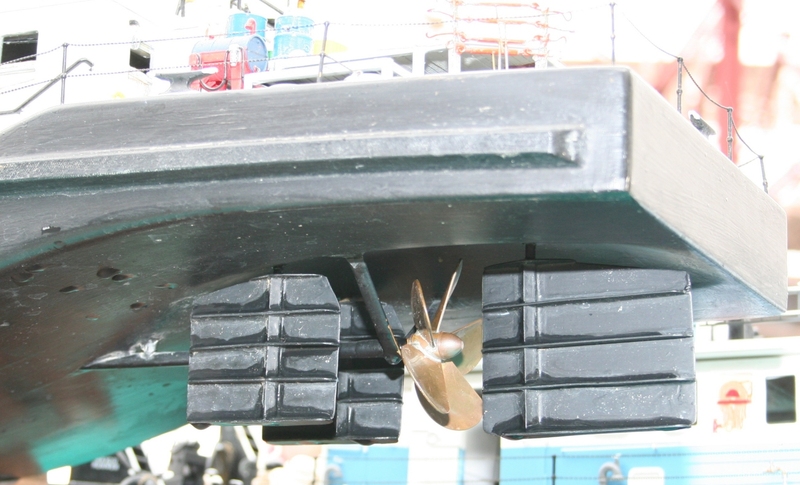 A weathered lobster boat is showing signs of use. 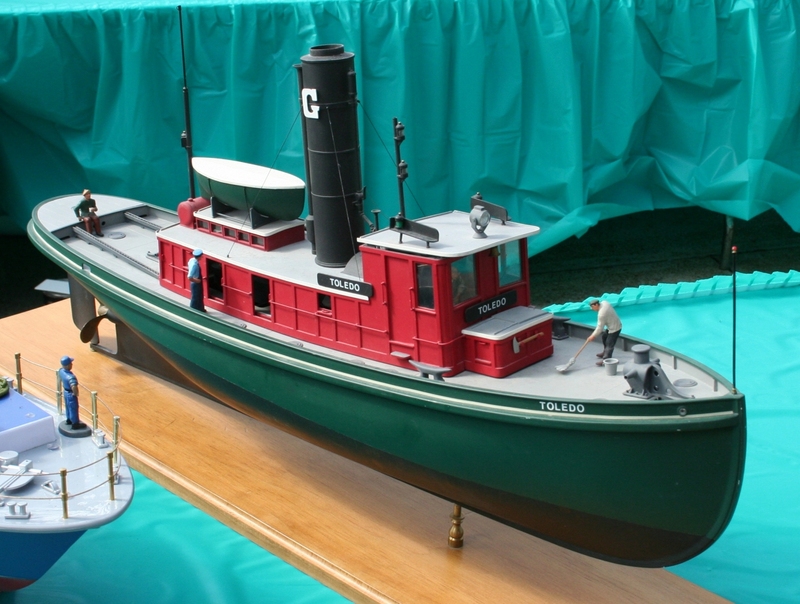 The author’s 1:24 Ford tug “Dearborn” is typical of tugs from the Great Lakes. 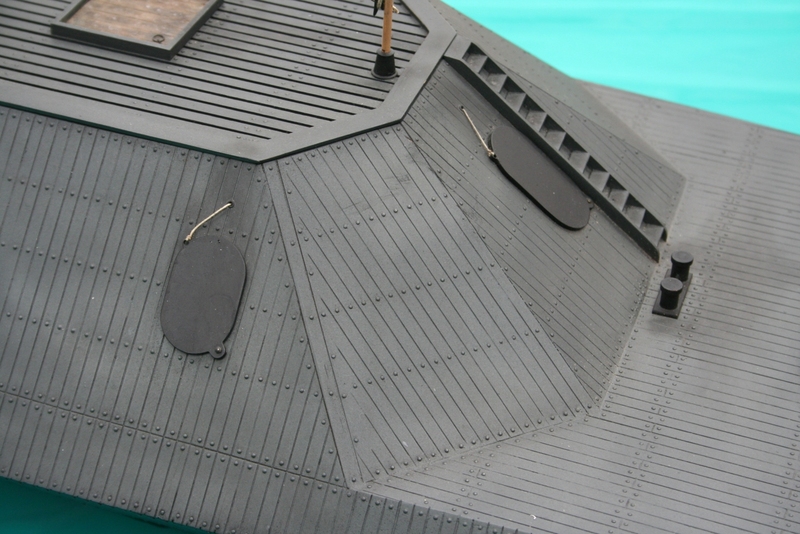 Detail of Phil Fritsch’s “CSS Albermarle” showing the individually placed rivets. 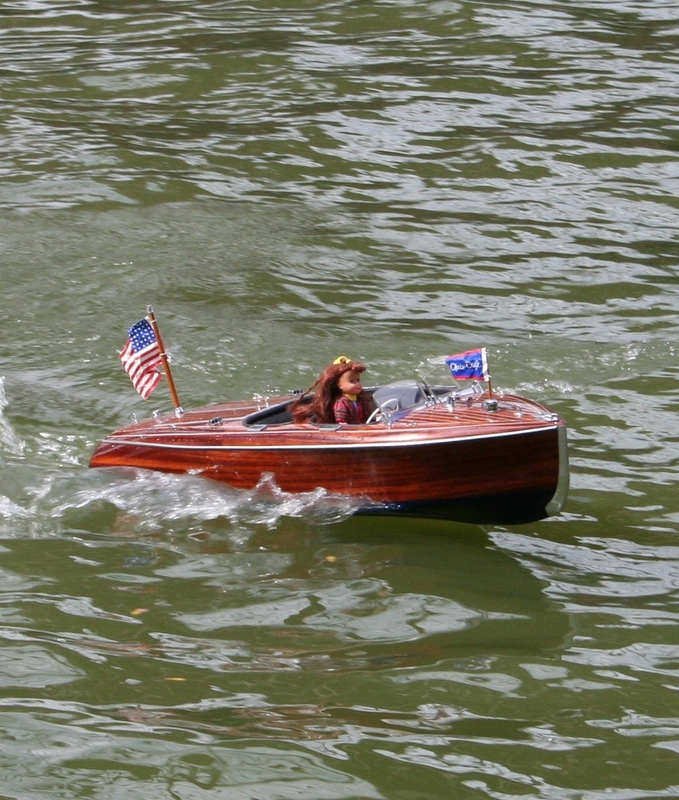 One of the many mahogany runabouts scampers across the pond. Detail of Phil Benoodt’s Fairmile D.
Chuck Greco’s “Creole Queen” was well equipped with calliope sounds and copious smoke. 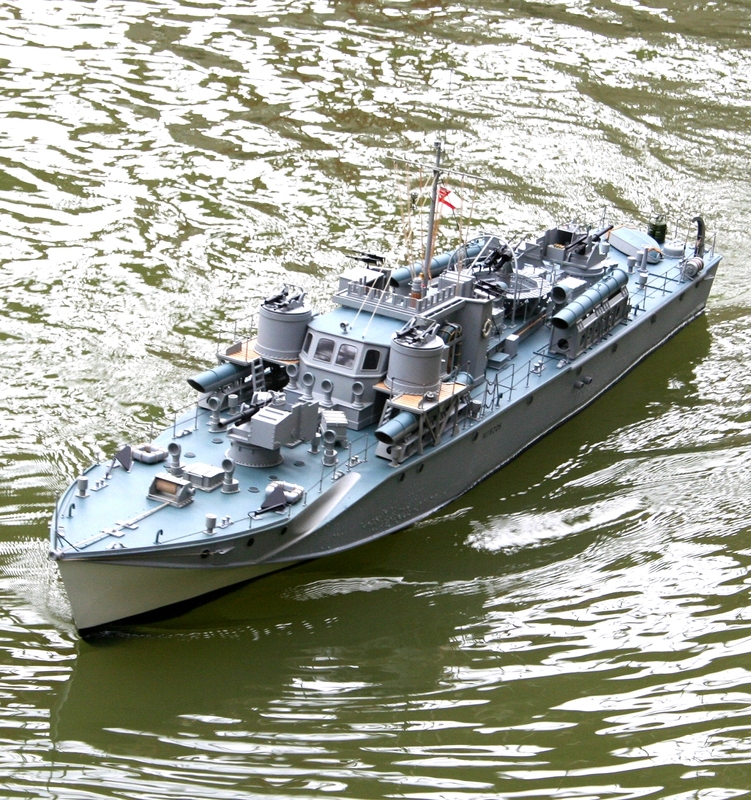 Phil Fritsch’s “CSS Albermarle” takes to the water. 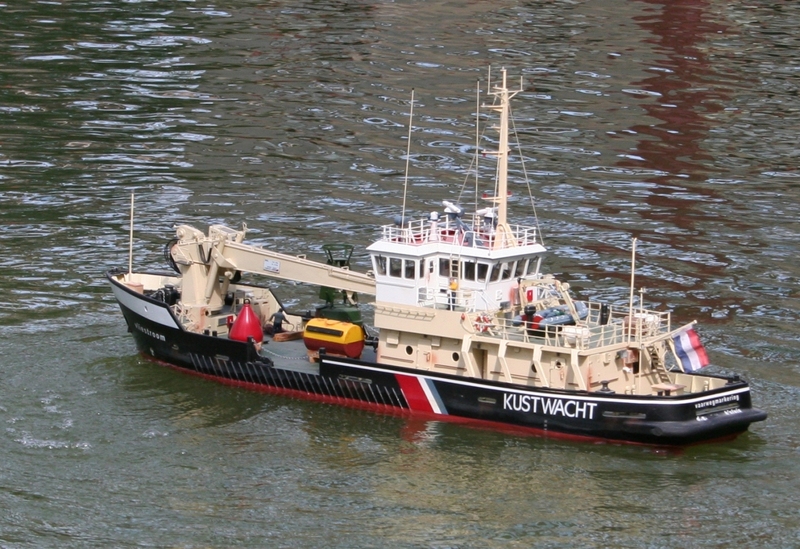 Karl Kalb’s “Toledo” represents an early version of a Great Lakes tug. 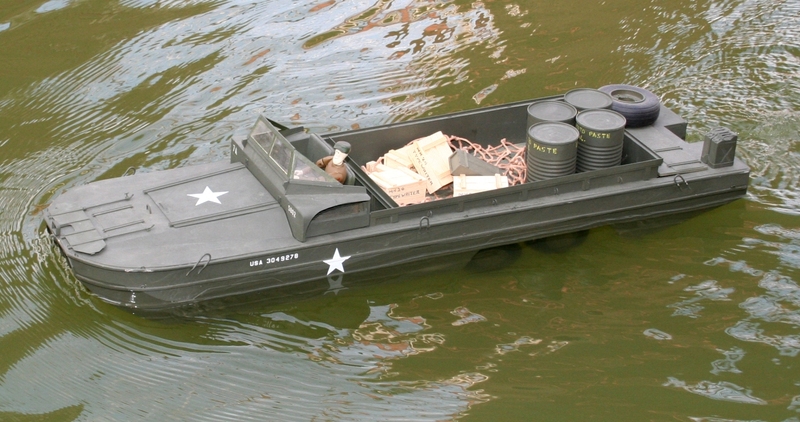 The author’s 1:12 scratchbuilt DUKW is delivering much needed supplies. Phil Benoodt’s S-Boot at speed. 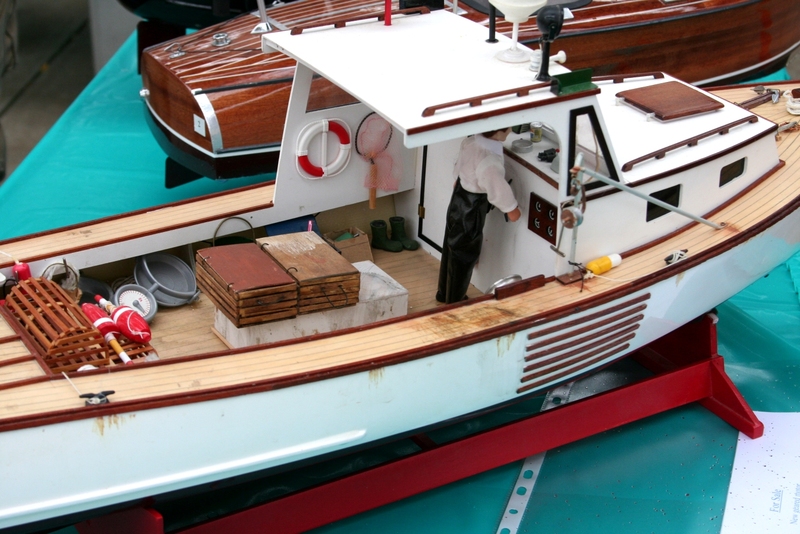 Bernie Kain’s “Bayou Runner” features a retractable pilot house. 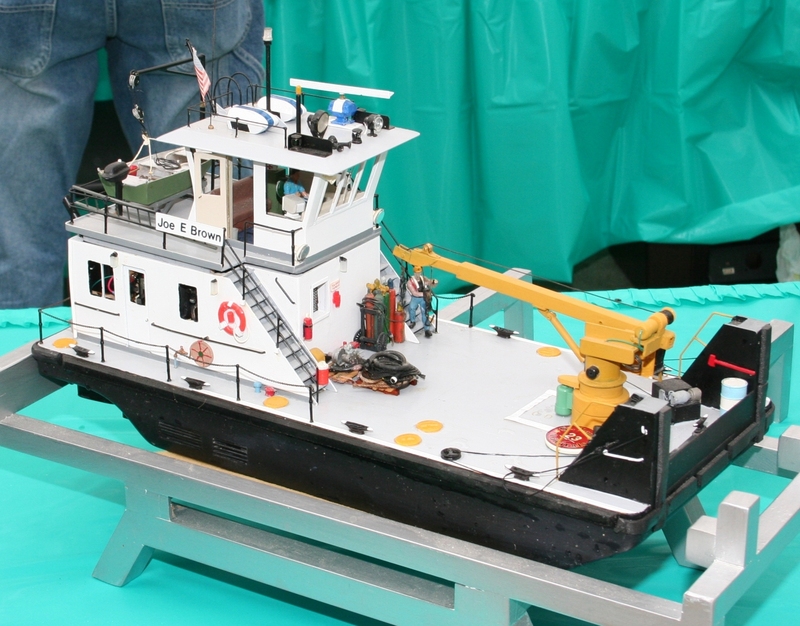 Jeff Seemiller’s expertly constructed “Vliestroom” executes a pirouette with the help of its bow thruster. It’s all about being a kid again, right?